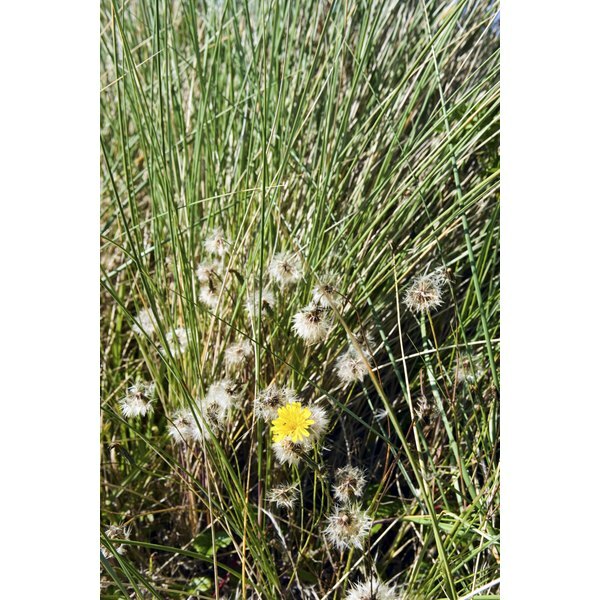 Despite its vibrant yellow flowers, the dandelion plant is generally seen as a weed that invades your backyard. However, both the root and the leaves of the dandelion plant are used for many health purposes, including to ease symptoms of menstruation. The roots are fresh in early spring or late autumn or are available dried or in tinctures. Talk to your doctor before taking dandelion. Dandelion’s main health benefits are not for menstruation, but instead to stimulate and cleanse the pancreas, liver, gallbladder and kidneys and to ease the digestive system. Nonetheless, some of its properties might extend themselves to the symptoms of menstruation and premenstrual syndrome. It can help heavy bleeding, a missed period, menstrual headaches, constipation and anemia. The leaves of the dandelion might also help menstrual and premenstrual symptoms. The leaves, but not the roots, are diuretic, which can relieve water retention from menstruation. They also provide potassium, whereas many other diuretics take it away from your body. Dandelion leaves also provide many of the same benefits of dandelion roots. There are a number of ways you can take dandelion. Make a tea by steeping 1 to 2 tsp. of the leaves or 1/2 to 2 tsp. of the root in a cup of boiling water for five to ten minutes. As an easier method, you can buy prepackaged teabags and follow package directions to make the tea. Other options are to take a leaf or root tincture or a powdered extract of the leaf or root, which you can find in health food and specialty stores. Taking dandelion might cause a few side effects and drug interactions. You might be allergic to it, especially if you are allergic to marigolds, chamomile, yarrow, ragweed, chrysanthemums, daisies or iodine. It can also cause mouth sores, heartburn and skin irritation. Talk to your doctor before taking it if you have gallstones or another gallbladder condition, or if you are taking antacids, lithium or antibiotics.